How To Peel Garlic Quickly In 4 Easy Ways | Peeling garlic is a tough task, however, it is still not rocket science. It’s because unlike Rocket Science, there are no ways that you can fail. Also, thankfully there are many ways of peeling the garlic skin. You don’t need to buy a peeler or any other fancy gadgets for peeling. 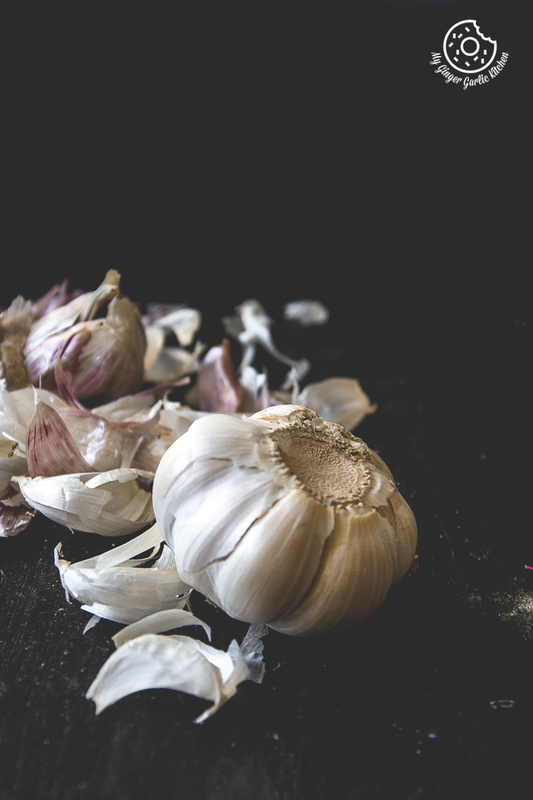 So, check out this video where I will show you the 4 easiest, simplest and quickest ways of peeling garlic, which I have found to be least fussy. I am sure they will save your time and energy. So let’s get started. Place the entire garlic bulb inside an empty jar and close the lid. Shake it vigorously for 1-2 minutes. I like to do some muscle work, but if you like you can open/break-up the garlic bulb before putting it into the jar. This way you can peel an entire head of garlic at once. Remove the loose skin and give them a wash. You are done. Store them in a bag in the freezer for later use. 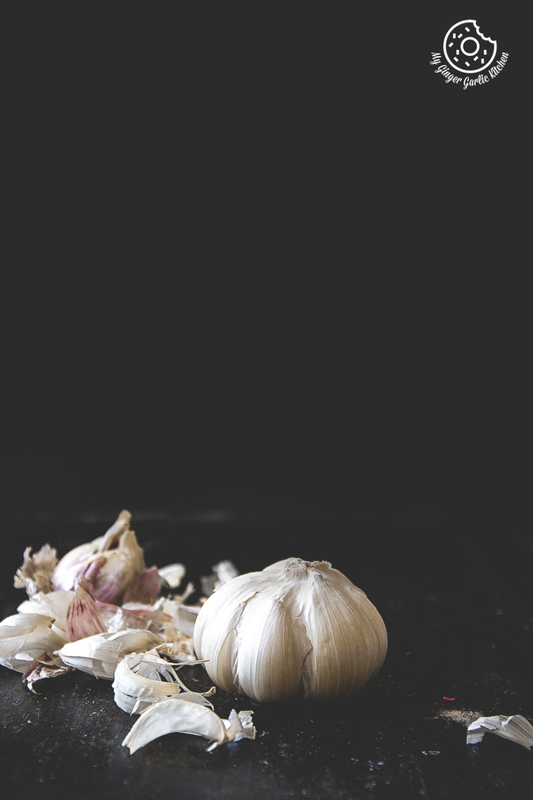 Place a garlic clove on a chopping board. Place the flat side of the knife on the clove and smash it down firmly. Try to smash it with a quick and firm strikes for a couple of times with your palm. Remove the knife to see if the skin is loosened from the clove. If not, then smash it some more times. Peel away the skin and debris with your hands. Done. You can easily learn how much pressure you should apply just after a couple trials. Soak the cloves in cold water for 10-15 minutes. Make sure that garlic cloves are covered fully under the water. Remove the cloves from water and peel the loose skin. The skin should be loose and easily removed by hand now. Pinch off the loose skin. Then you can place the peeled cloves in a container. Cut the head of a garlic bulb. Put the garlic bulb in the microwave safe plate or a bowl, and microwave for 10-15 seconds. Then, just pull the outer skin with a little squeeze, and you will notice that the garlic cloves will slide right out of their skins. That means, just a little squeeze and you are done. Remove the waste. You can place the peeled cloves in an airtight container in the refrigerator for a couple of days.